That the word ‘disrupter’ is currently such a buzzword is no coincidence. Across all sectors, people are enthusiastically embracing trailblazers and, despite the fact that the beauty industry represents some of the world’s most iconic brands, we are increasingly drawn to its new generation of both challenger brands and products that are reimagining beauty from single-minded and bold, to fluid and dynamic—in ways that defy its previous expression. These challengers not only inspire and engage us with their super “Instagrammability”—clearly highlighting the importance of desirable packaging—but creating such interactive worlds gives us the chance to be part of the conversation and affect the message we feel we are personally putting out in the world. 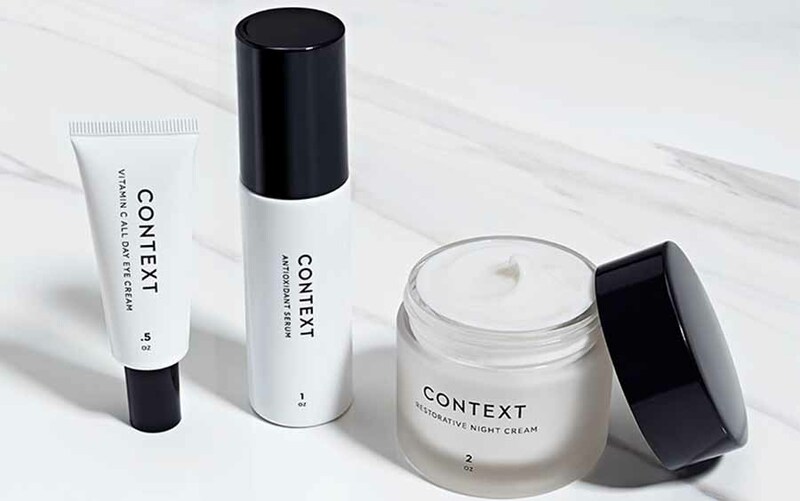 How to make their consumers confident—in steering away from the crowd and expressing their individual personalities and values—is not just being carefully considered and curated, but actioned, by this new breed of beauty and personal care brands. From the colors that are chosen to tune into our hopes, fears and future desires—as well as on a practical level to offering us a broader array of skin tone-matching products— to the culturally resonant (and no-brainer) moves to further innovate in and integrate sustainability, we consider this competitive sector’s evolution as it catapults forward into 2018. Today our cosmetics world seems increasingly awash with thoughtful, yet experimental and enigmatic, choices of colour, meaning forecasting is now less trend-driven or prescriptive as our choices and styles fluidly co-exist and clash in a melee of discovery, experimentation and, above all, free self-expression. As Laurie Pressman, vice president of the Pantone Color Institute says, “The Pantone Color of the Year has come to mean so much more than ‘what’s trending’ in the world of design; it’s truly a reflection of what’s needed in our world today.” This was also represented by catwalk trends favoring other-worldly, sugary shades with luminous, iridescent and highlighted finishes (finally moving us on from the year of the unicorn) and brought to life to show-stopping effect by Pat McGrath on the 2018 Valentino runways—and perfectly complementing her Pat McGrath Labs line of sequin-filled pouches; surely one of the most magical and highly desirable cosmetic packaging launches in recent years. The new Josh Wood Colour range is interpreting the meaning of colour, by bringing the brand’s artistry and alchemy to every individual, allowing self-expression and empowerment by enabling the salon experience in a boxed colour. The packaging design keeps the focus on colour with each gradient inspired by, and showcasing, the world of colour and the layers within it. As Josh says, ‘Beauty is not like fashion—it is dictated by the fabric of the body you are working on.’ A marketplace of product and structural innovation is rapidly opening up a colour melting pot that sees brands embracing colour and all its hues and meanings to create more fluid, customizable and portable offers such as Inglot’s Freedom System. In tune with the kind of personalization the tech world has made so accessible in our everyday lives, beauty that is customised around you and your personal needs is now no longer out of reach at the high-end of the market with newcomers, such as the bespoke Function of Beauty, offering customized shampoo and conditioner that is sulphate and paraben-free and formulated specifically for you. Additionally, we are now building a world of brands that can quickly and easily access their customers’ feedback and, in certain cases, hone their innovation to consumers’ exact and evolving needs. Think mega-success story Glossier. The most perfect shade is, after all, your own—and individual beauty means moving on from off-the-peg. The increasing success of bespoke colour-match brands, particularly in foundation, has seen the offer evolve into the creation of sites such as findation.com, bringing favourite brands onto one site to make the process even easier while the popularity of colour creation lip labs, like FOG, and cosmetic counter creation stations speak for themselves. 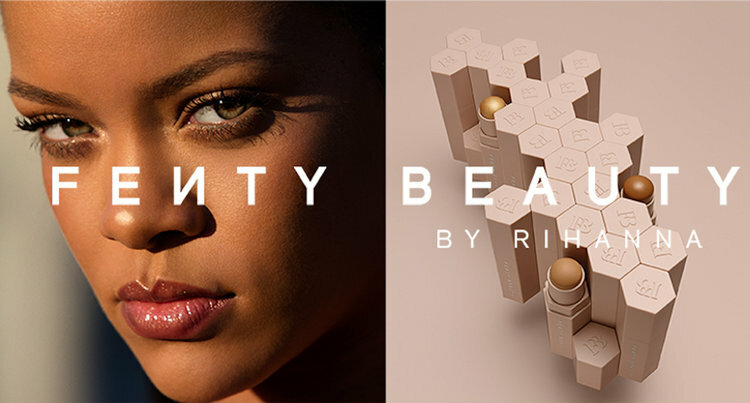 Rihanna’s Fenty Beauty line, which was invented to “pinpoint universal shades for everyone” has seen its Pro Filt’r foundation’s 40 shades become a runaway success. The brand’s Galaxy eye palette—offering beautiful neutrals and brights in a metallic, rainbow prismatic case—has also broken through traditional category norms with colour (both product and packaging) being used to make a bold statement about the brand’s position and intention. New tech—such as AR and VR, with NYX the latest brand to roll out a VR offer—is further evolving the experimentation and “try before you buy” offer. This is not just securing and boosting sales, but pushing the boundaries of the industry to open up a whole new world of digital and retail innovation and opportunity that focuses on the individual. 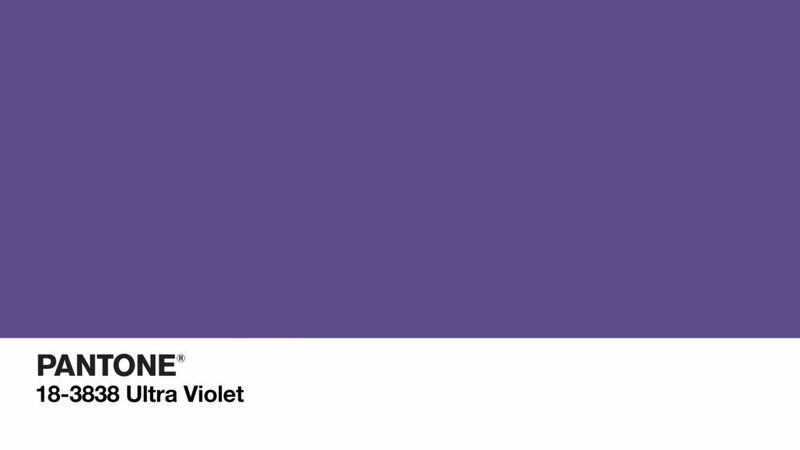 Brands wanting to appeal to the consumers of tomorrow will be looking to create, and make more widely available, a broader spectrum of shades while also finding new ways to drive innovation around colour fluidity. That beauty is no longer just a girl’s world is almost universally hailed and new unisex lines—such as Meant and Context—are, therefore, of increasing importance with the mission to become the “go-to source for healthy beauty products for men and women.” Context, in particular, is a curated range of essentials—enriched products that are plant-based, paraben-free, packed with vitamins, antioxidants, botanical oils and citrusy scents packaged within a slick and minimalist design, inspired by the clean Swedish design aesthetic loved by founder David Arbuthnot. With this year being hailed as the year of inclusivity, brands will need to create dynamic and universal offers to celebrate the strengths, differences and preferences of all of their individual consumers. 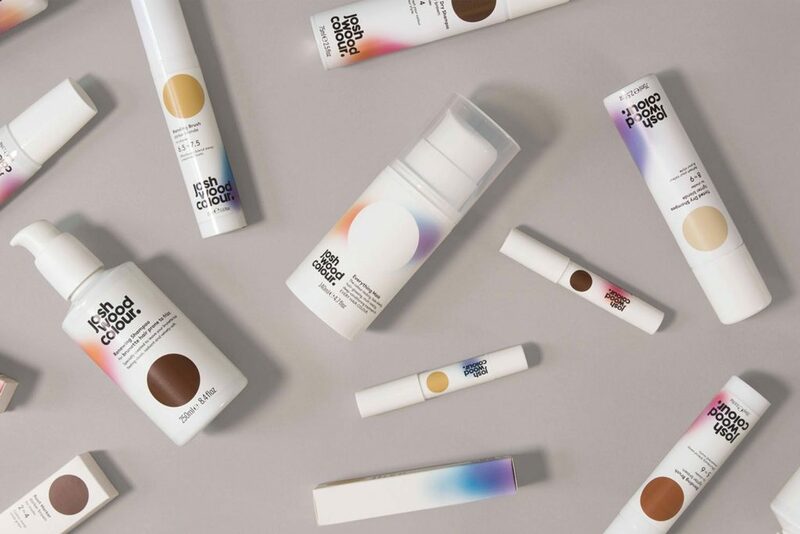 We are already seeing this important shift championed with Jecca—the brand-new cosmetics line specifically created for the trans market—launching in the UK last December. This sector is driven by our desire for expertise and transparency and we see this reflected in the continued desire for more neutral palettes, a popular aesthetic with established, new generation beauty icons like Rodial, and newcomer Milk both offering us varying takes on beautiful, super simplicity. Monochrome branding remains a strong and understated choice that represents this theme through a prevalence of typography-driven packaging, giving a sense of streamlined, product-honed expertise with no need to up the hype through more complex or complicated messaging. And this is very much the stuff that timeless appeal and cult followings are built upon. While consumer demand for natural products with green formulations, transparency and traceability and more sustainable manufacture and delivery continues to grow, there is room for thoughtful innovation and supply. At last year’s Sustainable Beauty Awards, established brands Aveda and L’Oréal (with Biolage Raw) came out as winners, but new approaches are being made at scale by Unilever who launched the sustainability focused Love Beauty and Planet that aim to deliver eco-consciousness through hair and body products at affordable prices (the previous catch with the mostly premium brands in the category). After all, it is high-level awareness of long-term impact and a heightened sense of responsibility that will ultimately sustain the future of these category leaders. On a more granular, product-based level could Love Beauty and Planet’s new Radical Refresher (based on dry shampoo), which deodorizes and cleans away sweat from the body, be the post-gym breakthrough that this brave new world of water-conscious consumers has been waiting for? While the first plastic-free and environmentally friendly refillable lipstick from French brand La Bouche Rouge is challenging more than just a cosmetic conscience. 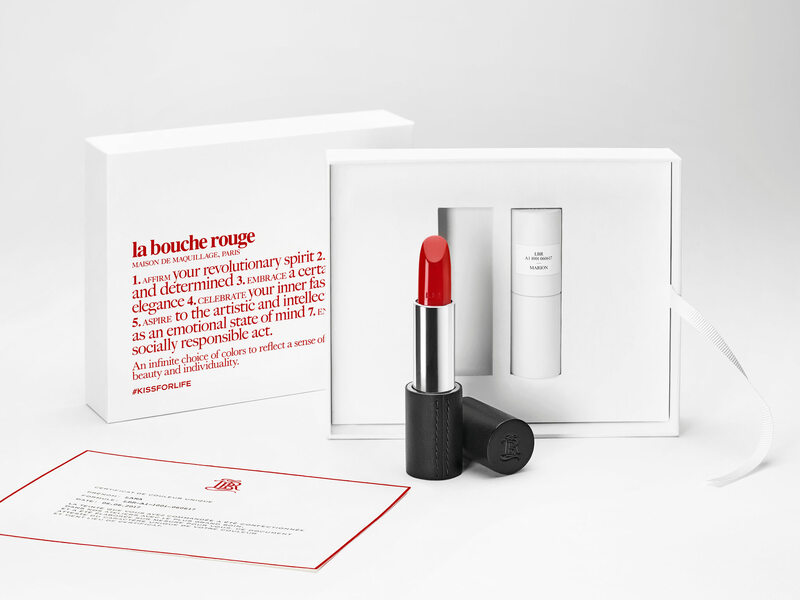 The packaging acts as a manifesto for personal expression and societal change, with supermodel Anja Rubik, the face of the brand, describing her solidarity and the brand mission, by saying: ‘I like the idea that buying a lipstick can become activism, the symbol of a conscience!’. Overall, we are moving towards a powerful new world where cosmetics brands increasingly and clearly reflect the idea and ideals behind their products to help us make more of a statement about just who we are and aspire to be—as they also display their own stance on cultural issues and in doing so, both radically and practically disrupt the look, feel and experience of the beauty category.